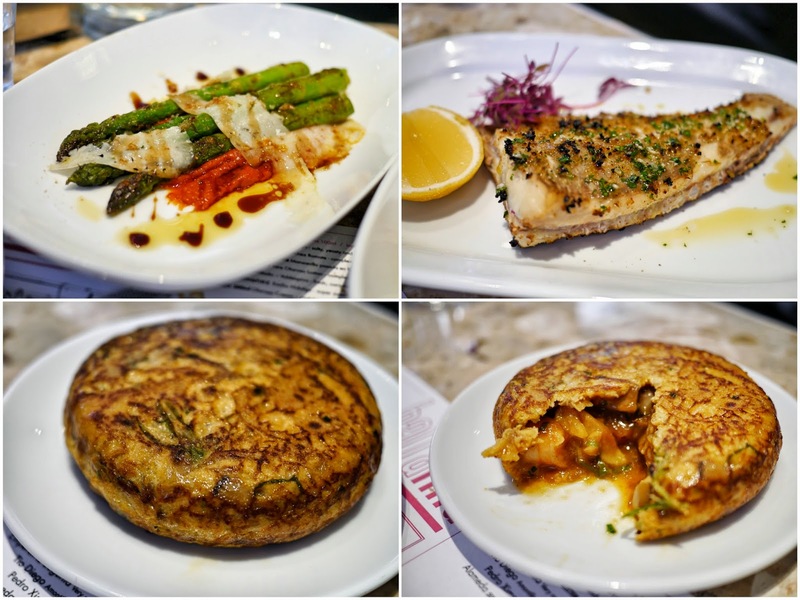 You've never really needed me to tell you to go to Barrafina have you? It's a given. When it opened on Frith St it was an instant classic. On one of my visits, Keira Knightley was in there chowing down on quail. Who'd of thunk it eh? She eats. Clearly then, that should be recommendation enough - if it's good enough for someone who probably only eats a meal a week, then it's definitely good enough for those of us who aren't perpetually hungry. The only problem with Barrafina is that it became a victim of its own success. I've seen people queue before it even opened just to score one of the stools, meaning my visits became more sporadic. I'm not good with paramilitary planning when it comes to food. Joyfully, they've decided to share the Barrafina love and open a second location, which miraculously, improves on the experience at the big sister. The new space sits on the edge of Covent Garden up the road from Terroirs and across the street from Les Deux Salons. Happily it's also opposite the lovely pub The Harp (where they happen to serve real ales and bangin bangers - I mention it only for future reference since you're here for Spanish food). The area is now quite the destination rather than just somewhere you pay a cursory glance to as you leg it down to Charing Cross Station for that last train. You'd never be able to tell there was a semi-dodgy gay bar on the site for a number of years. Kudos to the designers for remodelling the space into something that feels airy, spacious and light, which is something that can't be said for the original Barrafina if you're wedged in next to the toilets with a hungry queue behind you. Having just opened to rave reviews, I arrived just after opening time at 5pm and within half an hour all stools were taken. If you do arrive when the stools are full, your name will be written on a mirror with the time that you arrived and an approximate waiting time - it could be 30mins or it could be an hour. The queue is expertly managed by the guy who had that patience-stretching function at the Frith Street location. On the service front, I can only say that it shines - friendly, knowledgeable, unobtrusive. The procession of dishes are timed so that you never wait too long or have too many in front of you. So to the food. You'll notice that the menu is mostly different to the one at Frith St. The larger space at Adelaide St allows room for a coal-fired Josper Grill and much of the menu is touched by the smokey oven. Toast with alioli (£3.00) is mandatory with a cold glass of Estrella. The crispy oyster ceviche (£3.80) is not really ceviche in the traditional sense (and comes under the Frituras section of the menu) but has a light tempura batter and is served with a refreshing clean dressing. It's a delicious amuse bouche. They've created a dish that will probably never leave the menu in the Bocadillo de Calamar Encebollado (picture at top, £7.50). I love anything stuffed into bread, and the crusty bun here is layered with an onion confit and topped with squid that has been grilled on the plancha before being finished off in the Josper. It's got maximum texture and flavour for such a small bite. I think Barrafina create a better tortilla than most places in Spain and the versions at the Covent Garden location differ to those at Frith St. The tortilla with prawns, garlic and mushrooms (£7) gives the one with prawns and piquillo peppers at Frith St a run for its money. The perfect construction shows in the set egg shell while the interior oozes with flavour. One of the daily specials was turbot cooked in the Josper with a coating of fennel-spiked breadcrumbs. We ordered a quarter (£28) and were presented with meaty, juicy flesh which easily flaked from the bones. The crumbs and judicious seasoning lifted each mouthful. Another special we picked was the thick-stemmed asparagus (£6.80) simply grilled in the Josper and served on a romesco sauce with plate-licking depth. The asparagus was topped with shavings of manchego cheese which melted deliciously over the dish. The chicken wings (£6.50) at Barrafina are so extraordinary they should be served with a 70s-style finger bowl because you'll be picking them up and sucking the bones. Once again touched by the Josper, the wings are juicy on their own but when coated with a mojo picon sauce - think tomato, smokey paprika, fennel seeds, chilli and sherry vinegar - you're launched into finger lickin' territory. I had one of the most enjoyable flans on holiday in Menorca recently and I thought it would never be bettered, but Barrafina once again proved me wrong. This wobbly specimen (£6.50) will invoke groans of Meg Ryan proportions. The caramel was toffee-sticky with a sweet smokiness that I love. There was a mild coffee kick in there too. I'm likely to order this dessert every time I visit. I had a glass of semi sweet Alameda sherry (£5.50) with it and think it matched perfectly. Mr B went with some simple refreshing summer berries (£6.80). All up, the bill came to £112 but you could easily get away for under £100 since the turbot came to £28 for the portion we had. We also had three glasses of wine (a great Verdejo at £5 a glass and the sherry I mentioned) and a beer (£4.50). It's not cheap, but I don't begrudge paying for quality ingredients that are expertly handled. God knows I've paid more for less satisfying meals in London. You know what? I'm fed up to the eyeballs with London's restaurants churning out pimped up dude food or poor homages to Americana. Frankly you can shove your "guilty pleasures" up your wazoo. That's why Barrafina Covent Garden is a breath of fresh air. Yeah I know, it's not breaking new ground, but rather it builds on the foundations of what I thought was an already close to perfect experience. 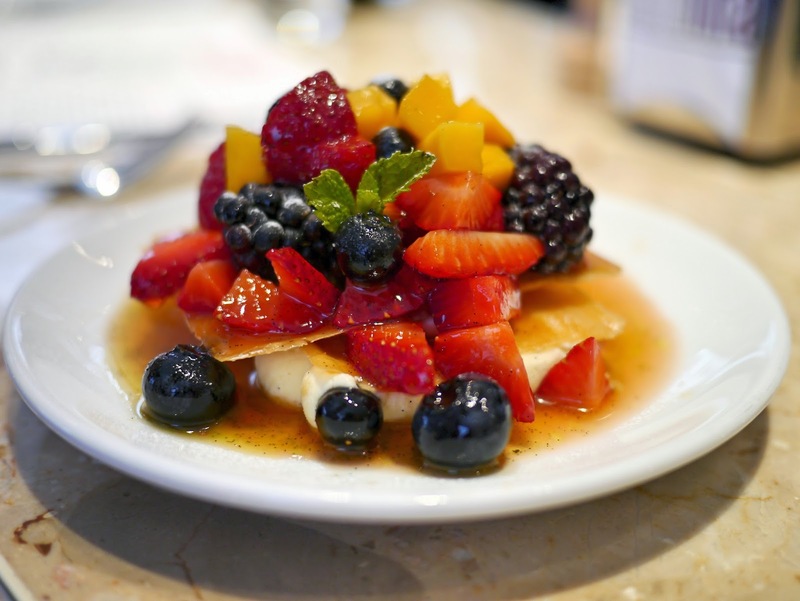 Everything from the food to the service to the buzzing atmosphere meshes together beautifully to make eating at the new Barrafina a joy. I want to be here every day.